From the archives (2010). English wine is going from strength to strength with routine analysis playing an important role in building the quality. FOSS last spoke to winemaker Sam Lindo of Camel Valley wines at the end of 2008 when he described how the growing season had been a particularly hard and how rapid wine analysis had helped him maintain quality despite having to use grapes affected by a cold wet summer. Thankfully, the 2009 season has been much kinder, especially during flowering in June which is critical for a good year in England. “We’ve had a tremendous crop here as have other growers across England,” says Lindo. Today, there are over 400 producers in England. Although these are not all commercial businesses, increasing investment is strengthening the foundations of professional winemaking while achievements by producers like Camel Valley are keeping the English wine scene in the international spotlight. Camel Valley won a gold medal in the 2008, 26th International Wine Challenge (IWC) for their Bacchus still white wine and a trophy as well to squash into their already crowded awards cabinet. Lindo remarks: “When you think that there are around 10,000 wines worldwide, winning one of the 300 hundred or so medals available is a pretty difficult thing to achieve wherever you are in the world, let alone England.” France retained its top gold medal status for the competition with a total of 49 medals closely followed by Australia and Portugal. But English wines are catching up fast winning a record 24 medals. An IWC gold medal was won by Camel Valley in 2005 for their sparkling white Brut ‘Cornwall’ – the only gold for a sparkling wine awarded to a wine outside Champagne. The awards are mirrored by strong sales which dispel any doubts that some may still have about the credibility of English wine. According to Lindo though, issues such as image have never been a problem. The main challenge is still the number of grapes available. “In the last six to seven years yield has been improving and is not far off what you would expect from New Zealand, so we are getting there,” he says. Figures available from the industry show the year on year variations. Over a million bottles of quality white wine were produced in 2006 but this was down to 444,533 in 2008. Despite limitations on yield, English winemakers appear to have found a winning formula based on production of high quality and sought after award winning wines, mainly whites and in particular sparkling wines as well as soft, unique reds – all of which take on unique characteristics from the mild climate and cool growing season. In this way, producers like Camel Valley can thrive and afford investment in high quality buildings and equipment to secure even better results. Left: Bob Lindo with a glass of the award winning wine Camel Valley Brut ‘Cornwall’. Right: Sam Lindo. There are around 400 English vineyards producing around 2m bottles per year but with significant yearly variations according to the growing season. The largest vineyard is 250 acres at Denbies winery in Surrey on the outskirts of London. White: Traditional English white wines often have floral bouquets and a refreshing high acidity. Reds: Once thought impossible they vary from light to mellow and even full-bodied. 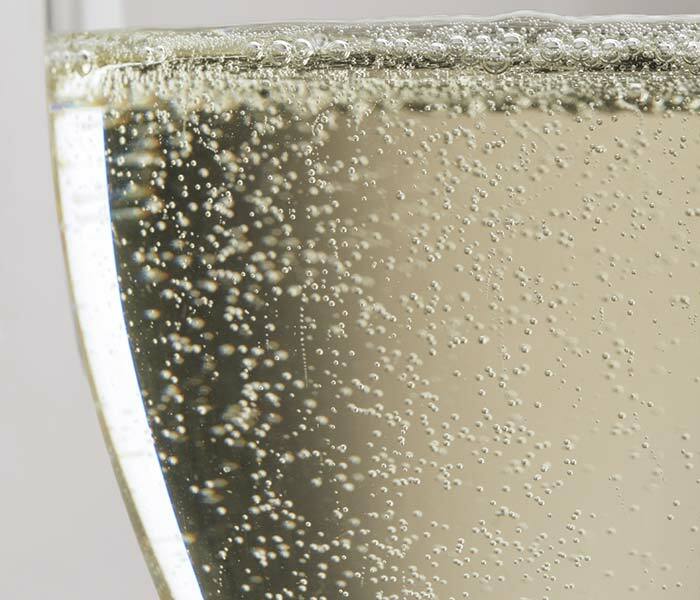 Sparkling: English sparkling wines are a great success with some offering serious competition to the Champagnes.